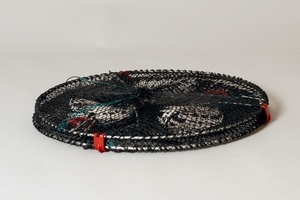 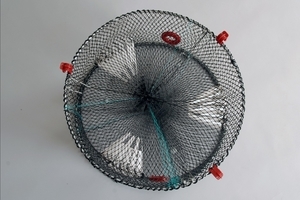 The Trippel is an efficient crayfish trapper. 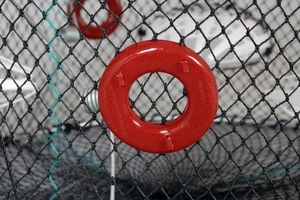 The frame is made of two hot dip galvanized steel rings that are forced apart by three springs. 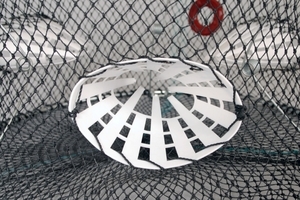 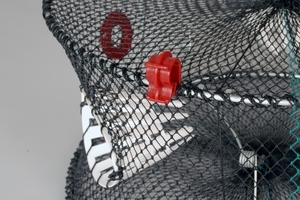 The netting covers the entire trap and three plastic eyes are mounted around it. 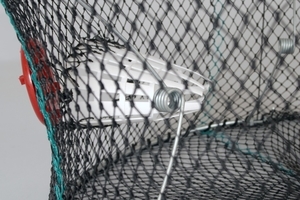 Escape holes are mounted on the trap (the netting not cut if wantet to be removed) as well as three plastic hooks that are used to easily open or close the trap. 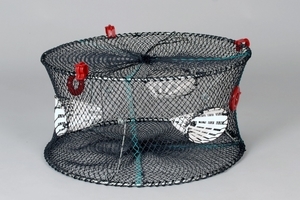 Making it very storage friendly.